Mauro Icardi has been stripped of the Inter captaincy in favour of goalkeeper Samir Handanovic, the Italian club announced on Wednesday. "The club can confirm that Samir Handanovic is the new captain of the team," the Serie A outfit tweeted. The Argentine has been left out of the team's Europa League round of 32, first-leg game at Rapid Vienna on Thursday. The forward -- joint top scorer in Serie A last season with 29 goals -- has scored 15 this season in all competitions, but has gone seven Serie A games without a goal. "Nobody on the team puts him in a position to play well," complained Nara recently. "The contract is still very far away from being signed. "There are some very important clubs interested in signing him. "There are the two biggest clubs in Spain, with whom we have excellent relationships, plus an English team and a French one." 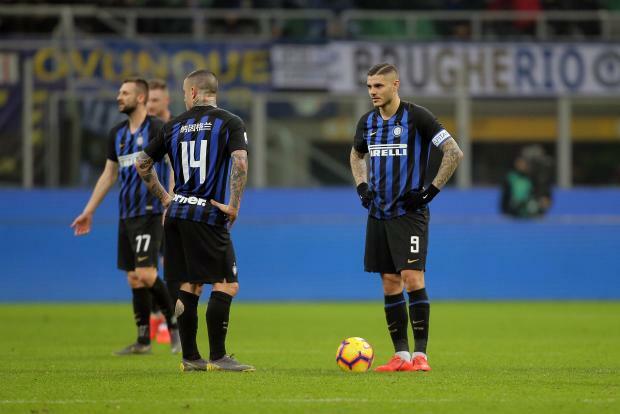 Inter are third in Serie A, 20 points behind champions Juventus, and five points ahead of city rivals Milan in fourth.